Spoudazo, which in Greek means to be diligent and to make every effort, is the ministry of Pastor Sudarshan which covers India's rural central coast. As a church, we have had the great privilege of coming alongside Pastor Sudarshan as he labors diligently for the Gospel in India. Serving in the local church. Evangelism/outreach to many unreached villages. Pastoral training and church planting. Caring for orphans/widows; Assisting in disaster relief. India's population of 1.25 billion people is comprised of thousands of language groups and the following religious affiliations: 81% Hindu / 16% Muslim / 2.3% "Christian"
In India's central eastern coast there are hundreds of rural villages, there is much poverty, and many are illiterate. Short Term: Purchase of logistics support items such as rechargeable speaker boxes, microphones, and LED lights used in Gospel meetings and church planting. pastors and ministry to orphans/widows. Longer Term: Fully functional ministerial school. Twenty (20) confessional churches planted and thriving. 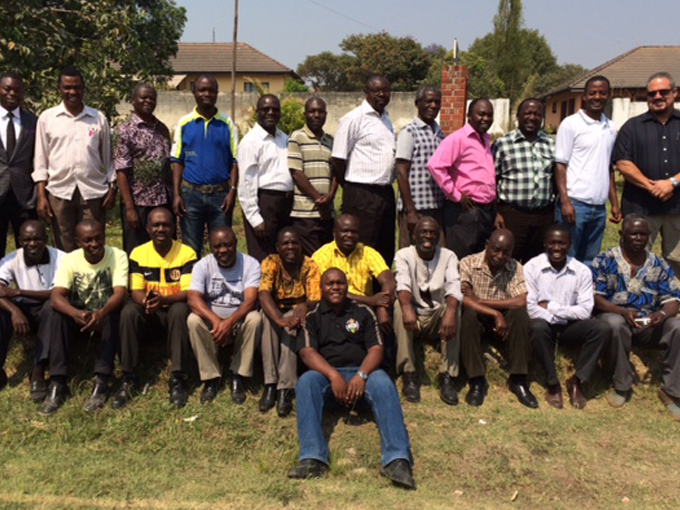 Our church continues to support leadership training and development at both the Copperbelt Ministerial College and Lusaka Ministerial College by sending Pastor Curt (along with others RB pastors) to help teach the pastors and interns for pastoral ministry. The Copperbelt Ministerial College is a ministry of the Reformed Baptist Churches of the Copperbelt. LMC is overseen by Emmasdale Baptist Church and Kabwata Baptist Church. The primary focus of these colleges is to equip men for pastoral ministry. These Colleges offer intensive courses in all areas of study necessary for the men to be competent and well prepared for every good work in ministry that lies before them.